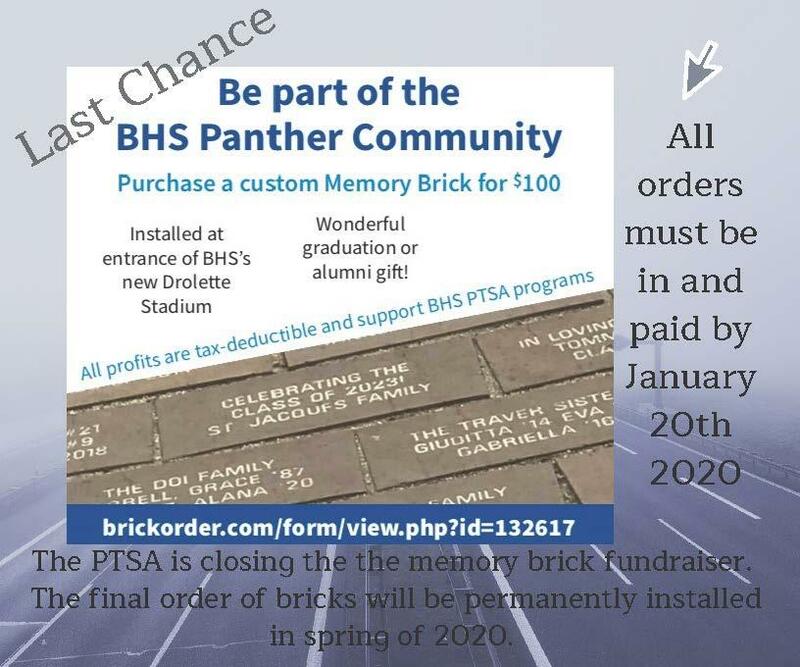 PTSA is closing the memory brick fundraiser. Vegan items are available everyday at the Paws room inside the student Center. There is a menu with items that are available everyday. Students be sure to order ahead in the morning to make sure the you get what you want. Sign up to join our Remind system. Once you sign up, you will receive text messages with upcoming events, announcements, and reminders.